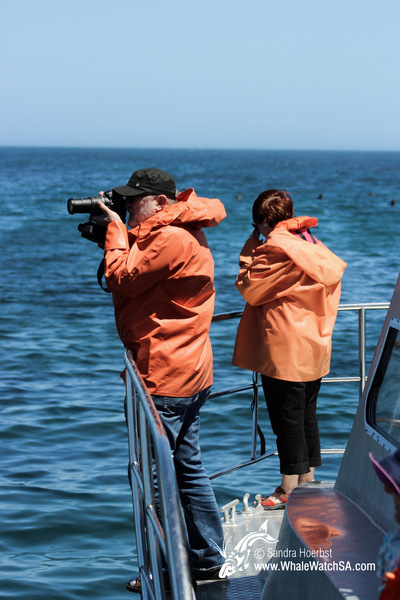 We were heading all the way through the bay before we had any wildlife activity. 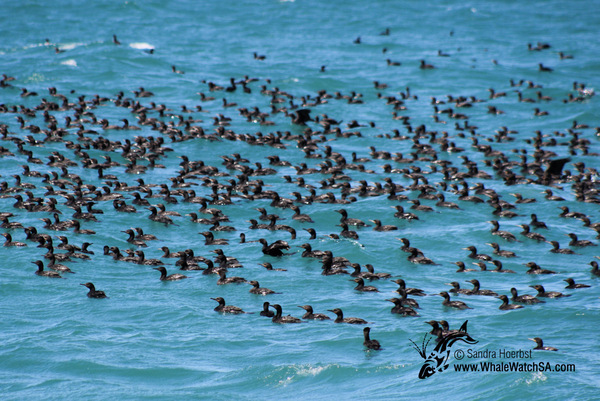 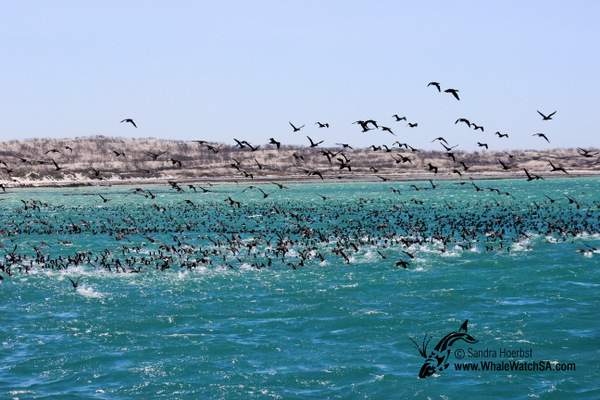 But there we were surprised with thousands of Cape cormorants and Indo-Pacific Humpback dolphins hunting for fish. 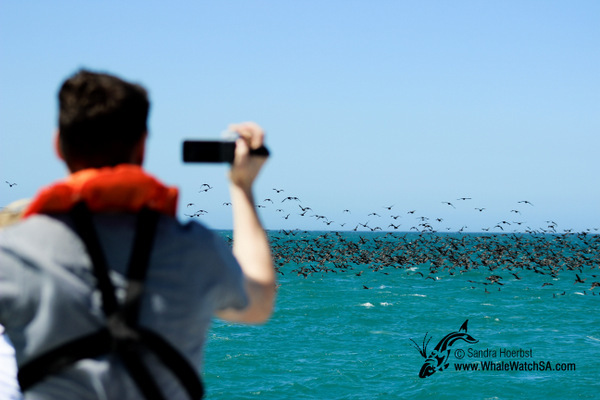 After busy watching the animals we were heading towards Dyer Island to see the African penguins and some other seabirds, like the Swift terns. 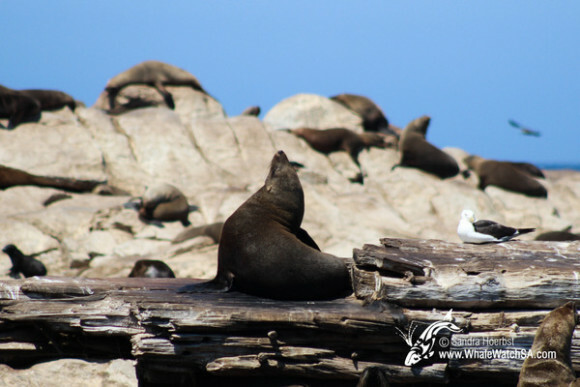 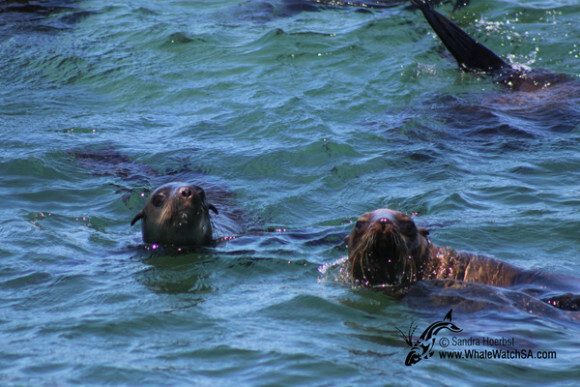 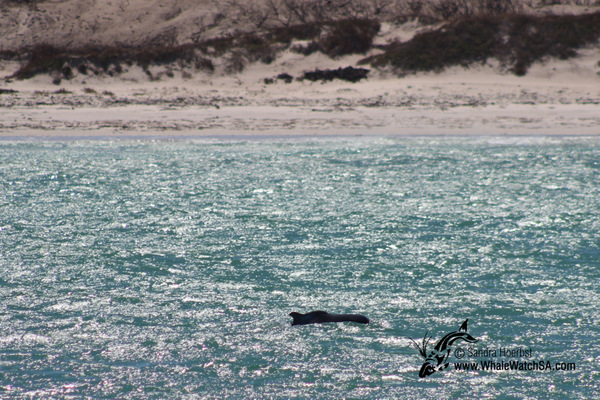 As the sun was shining all day the Cape Fur seals decided to have a swim in Shark Alley or just chill in the sun.